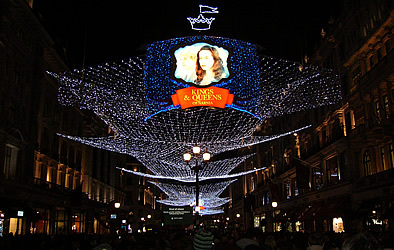 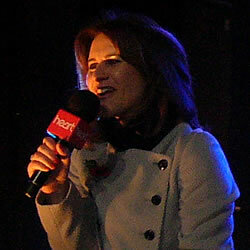 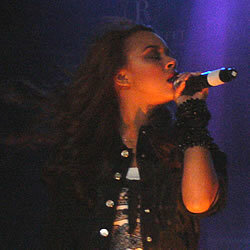 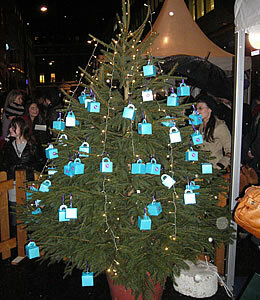 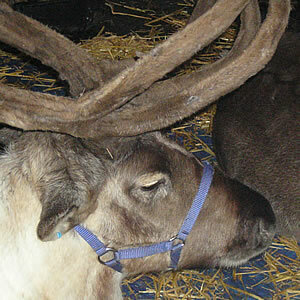 The pictures below were of the Christmas lights in London in 2010. 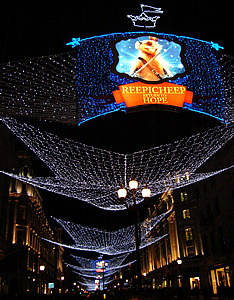 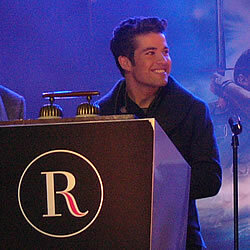 In 2010 the ceremony to switch on the Christmas Lights on Regent Street was on Tuesday 9 November 2010. 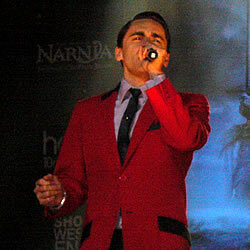 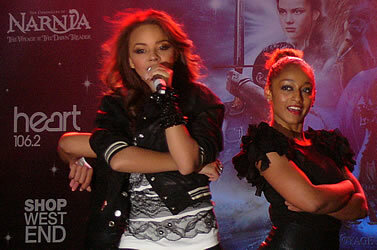 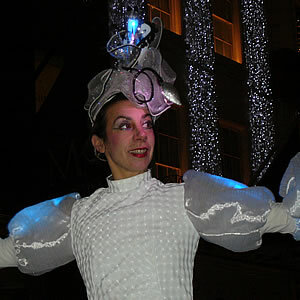 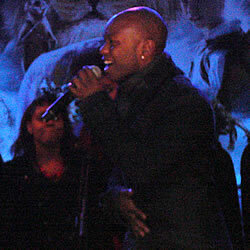 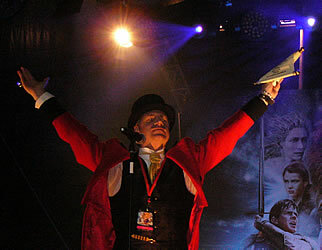 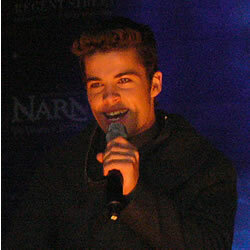 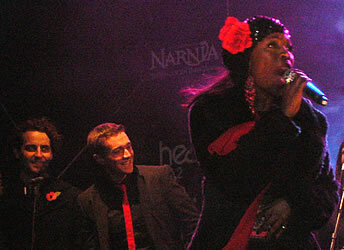 There was entertainment starting at 5pm on a stage in Regent Street, followed by the switch-on of its Christmas lights. 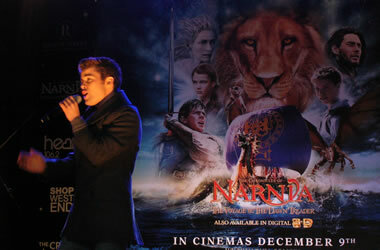 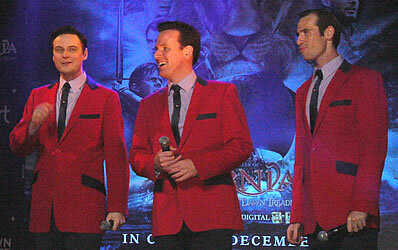 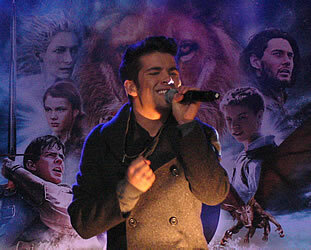 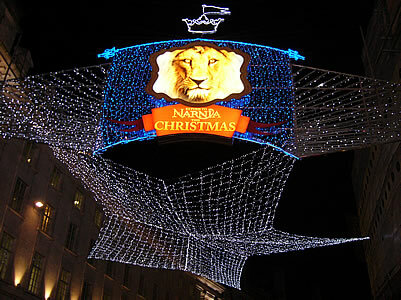 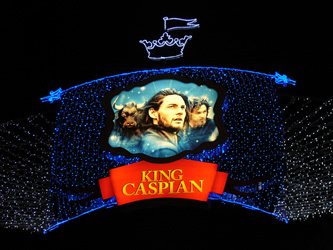 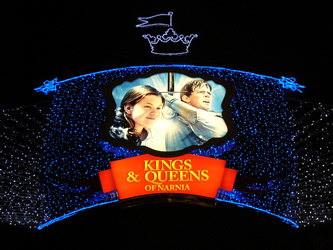 The theme of the 2010 lights was Narnia (the film The Chronicles of Narnia: The Voyage of the Dawn Treader is released in the UK on 9 December 2010). 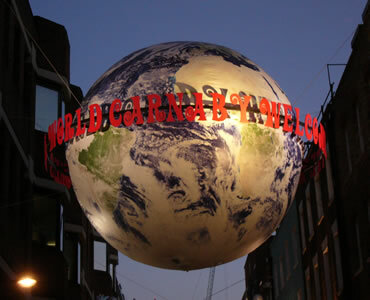 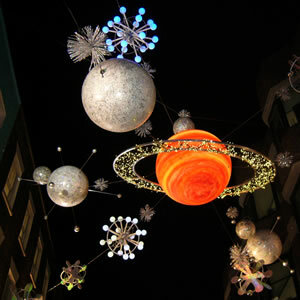 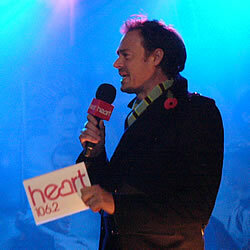 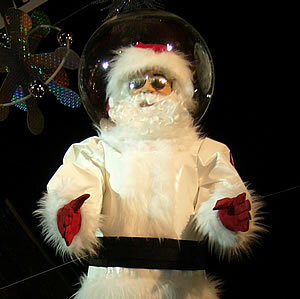 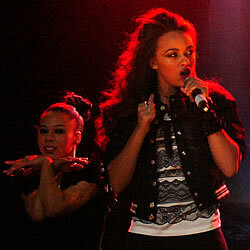 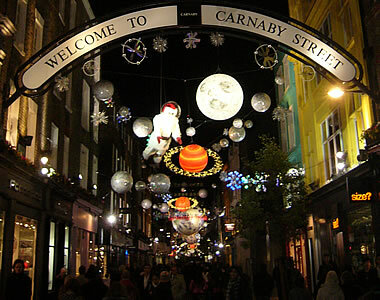 In 2010 the Christmas Lights on Carnaby Street were switched on on Wednesday 10 November 2010. 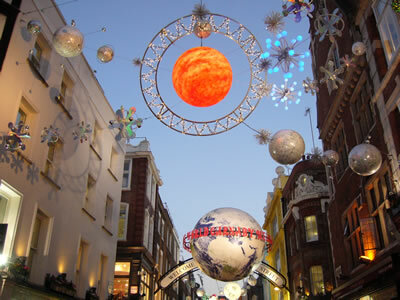 In 2010 the Bond Street Christmas lights were switched on by model and radio presenter Lisa Snowdon at 6pm on Thursday 18 November 2010. 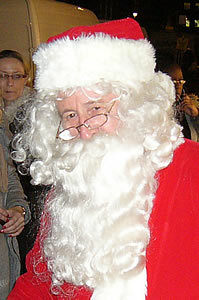 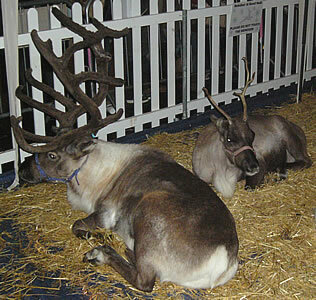 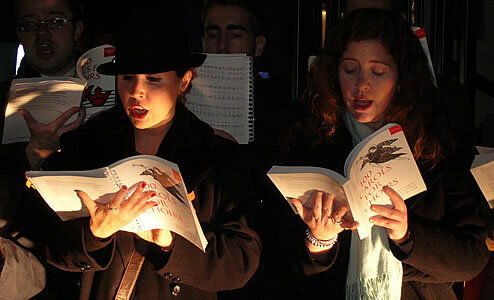 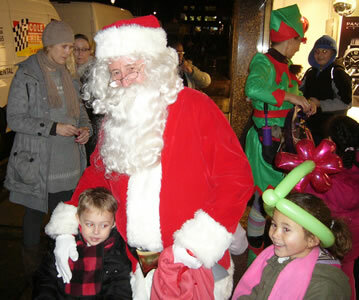 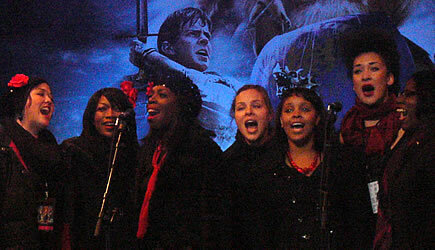 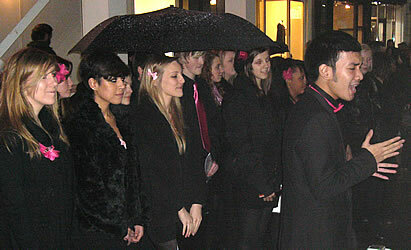 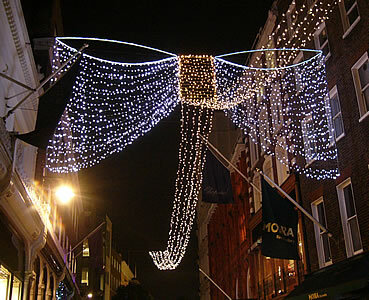 As usual Bond Street was turned into a "winter wonderland" from 5pm-8pm, with carol singers, musicians and entertainers. 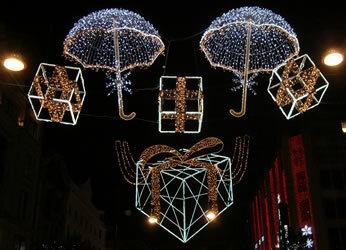 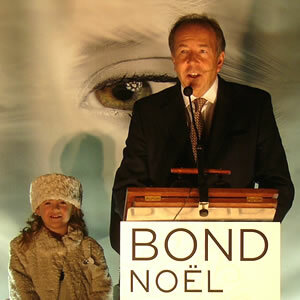 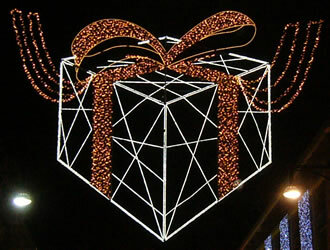 In 2010 the Christmas Lights on Oxford Street were switched on in a simple ceremony on Tuesday 4 November 2010.